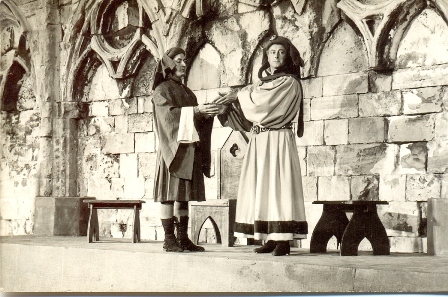 Here is a photograph from 1954, the second time in the modern era when the Plays were performed. It was taken by professional photographer Will Acton, who had a shop in King's Square, York. 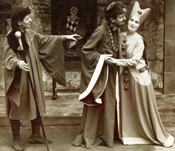 A set of black and white photographs by him of the Plays that year has been donated to the NCEM by his grandson Paul Acton. The photographs do not have titles, this seems to be Pilate with his wife Percula, here with their household beadle. If so, the actors are: Pilate - Alec de Little; Percula - Moira Reed; Beadle - Philip Clarke. 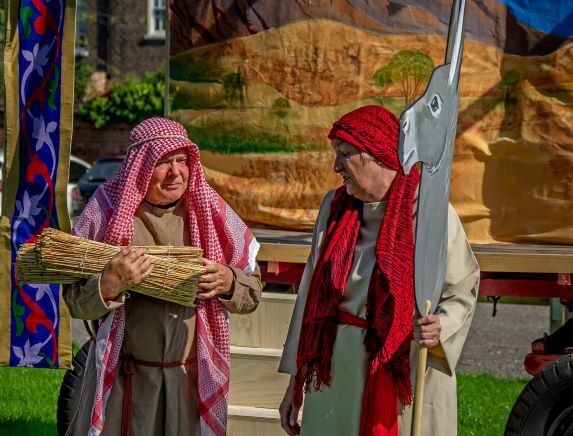 Below right for comparison are Pilate, Procula and the Beadle as performed on a wagon in 2010. This photograph was taken outside St William's College by the Director of the York Settlement Community Players, Graham Sanderson, who donated it to the NCEM archive. The actors are: Pilate - Maurice Crichton; Percula - Vicki Hill; Beadle - Matt Pattison. 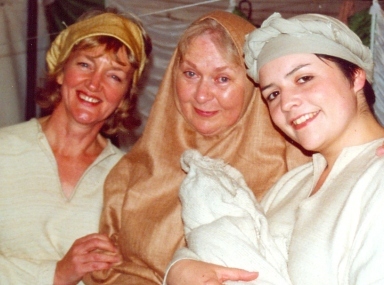 Below left is a scene from 1980, when live sheep were among the actors. This was scanned from one of the postcards in Anne Blincoe's extensive collection. Cain (Alan Inglis) is threatening his brother Abel (John Ramsden). We would love more rehearsal photographs. 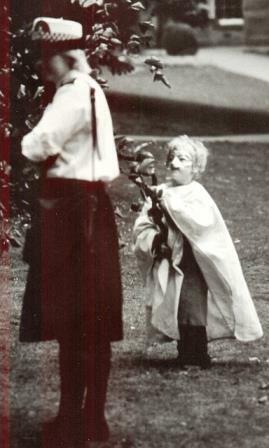 Some donated by Gweno Williams of 1984 include this amusing one from Museum Gardens. 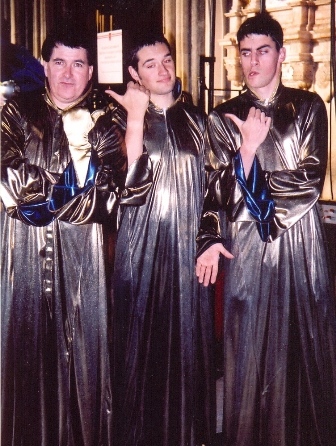 angels (one soon to be a devil) having fun in the Minster Millennium production. It was donated by Jude Brereton, Administrator that year. Linda Terry loaned for scanning an album from that year: here she is backstage, left. 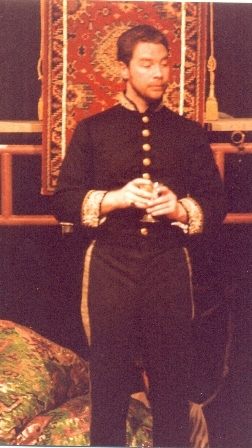 Below right is Herod from a 'Yorkshire Mysteries' production in 1987, a picture donated by Simon Tompsett. 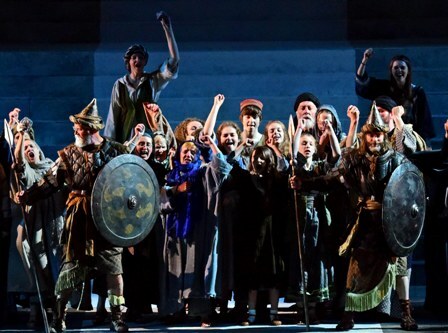 In 2012 a team of local people took photographs, which were given to the NCEM by York Theatre Royal. In March 2013 the NCEM was given a copy of a video (VHS format) of the 1988 production in Museum Gardens. We are delighted to have 2016 pictures such as this below from Anthony Chappell-Ross. 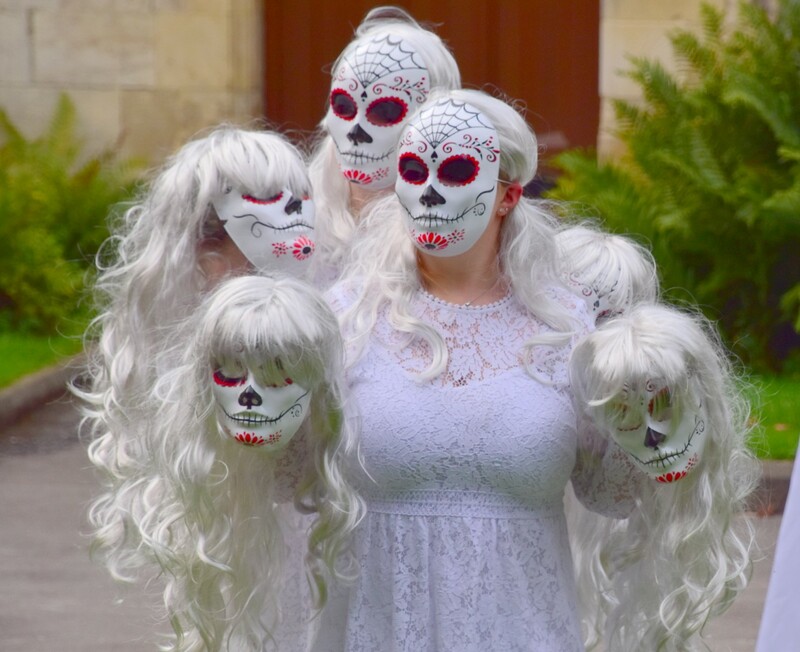 and of rehearsals and performances in 2018 by John Saunders and Michael Oakes. 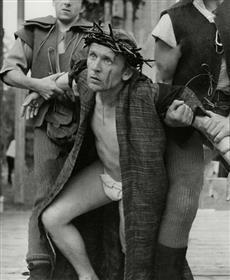 And we recently received this photo of Alan Dobie as Christ in 1963. Here is a scary 2018 image. Back to Archive page with search mechanism.